Chevrolet has redesigned the exterior, added more technology and has 5-star technology features. The new 2016 Cruze, has a prominent new-look grille, refined front fascia and swept-back available LED daytime running lights all come together to produce a fresh, bold and sporty presence on the road. These aesthetic enhancements have elevated the two body shapes of the Cruze and pushed their already stunning form into the next league. The Sedan has become more refined, more dominant and is more noticeable, whilst the hatchback has become even more sporty and athletic. But these enhancements aren’t just for looks, the new lines, edges and shapes all make the Cruze even more aerodynamic and fuel-efficient. When it comes to power and stability, few cars can give you a driving experience as thrilling as the Cruze. Without a doubt, the new 2016 Chevrolet Cruze’s most impressive feature by a mile is its uncompromising stance on keeping you and your loved ones safe. 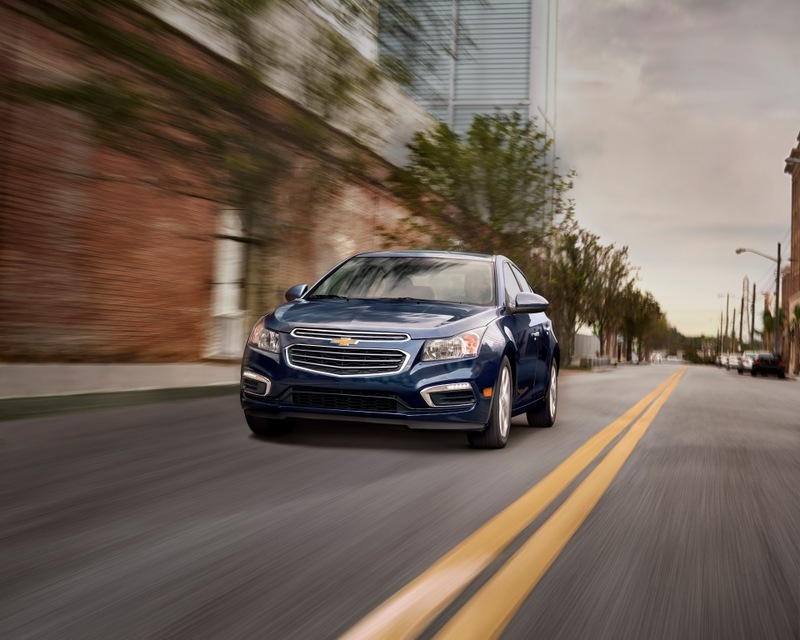 Commended with 5-star safety rating, Cruze is a meticulous combination of rigid engineering, advanced technology and intuitive design. The 2016 Cruze is equipped with an impressive slate of safety features, including the available Side Blind Zone to great lengths to protect you and your passengers. Up to 4 available front and side airbags combine with a strong steel enforced frame and Chevrolet’s patented child safety system to make sure that everyone inside is a safe as possible. Alert and Rear View Camera as well as an anti-lock braking system (ABS) — all of which works together to help keep you out of harm. In the event of an accident, the Cruze goes to great lengths to protect you and your passengers. Up to 4 available front and side airbags combine with a strong steel enforced frame and Chevrolet’s patented child safety system to make sure that everyone inside is as safe as possible.